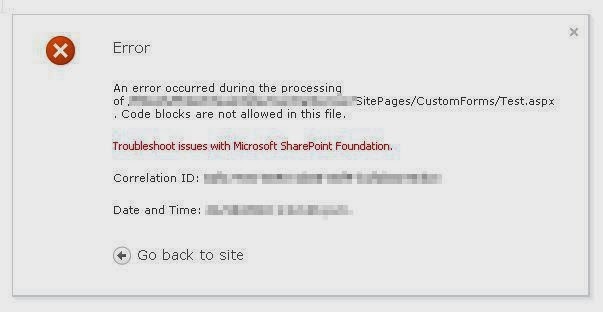 Kaustav Deka's SharePoint: Code blocks are not allowed in this file. Code blocks are not allowed in this file. Reason : Customization done on the default page using Sharepoint designer . Resolution : Replace the default.aspx page .